What better way to relax at the end of a busy day than by lounging in a chair at the beach? When not in use as a seaplane ramp, the dock in Mowry Village makes an interesting place to just stand and chat. Muirhead Village is one of the urban locations that are part of the East River Community. It’s a tiny, historical village made by 5 houses (3 are under development). Visit Muirhead Village. The picture is taken with Kirstens Viewer S20 with shadows enabled and with the new Second Life’s lightning system. 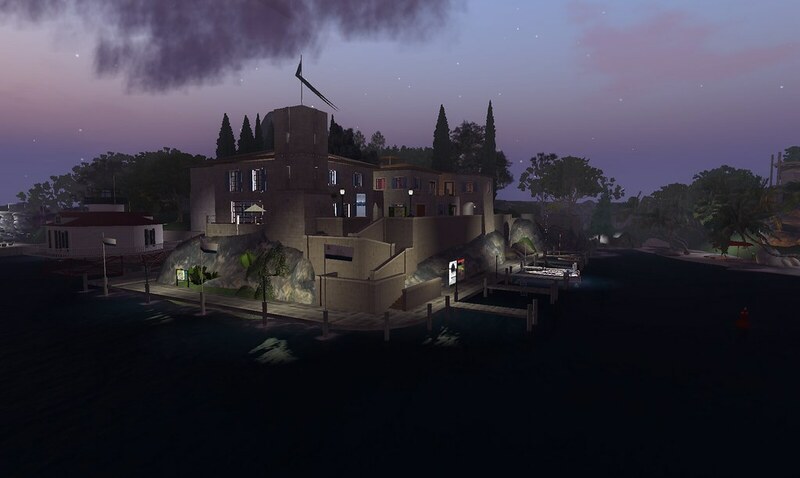 We have created a group on Flickr to collect all the photos made by Second Life residents of our community. The group is open to the public and you are welcome to contribute to it.